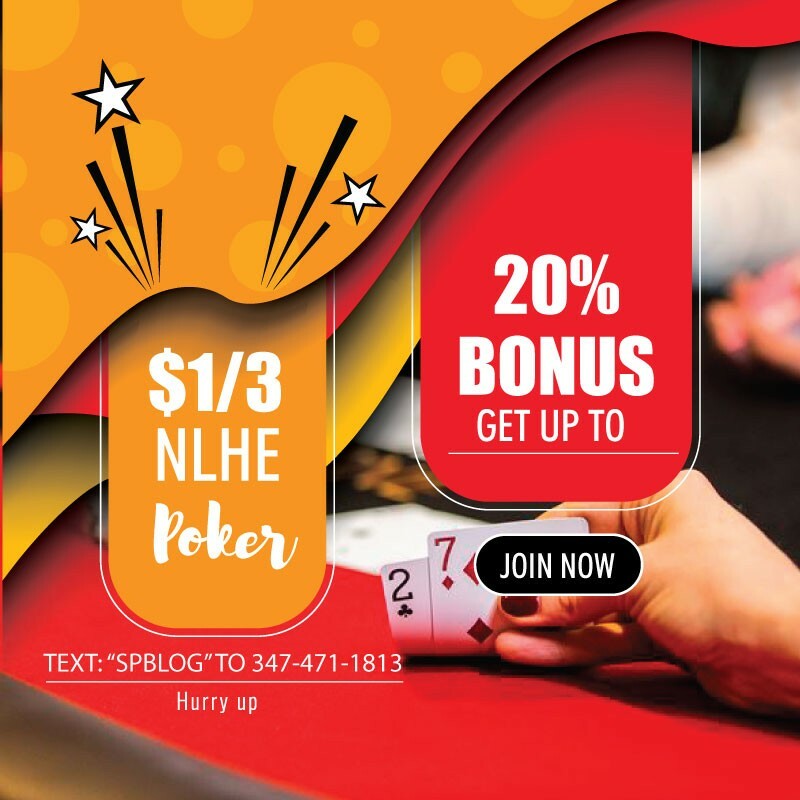 The 2019 Seminole Hard Rock Poker Showdown $570 buy-in no-limit hold’em deepstack re-entry event drew a total of 2,958 entries, blowing away the tournament’s $1 million guarantee to create a final prize pool of $1,479,000. 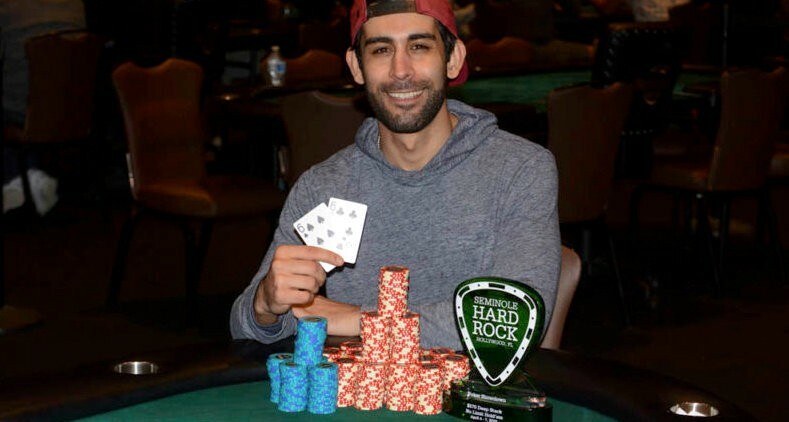 In the end the lion’s share of that money was awarded to Nick Ahamdi, who earned $209,977 and his first live tournament title. In addition to the money and an SHRPS trophy, Ahmadi was also awarded 600 Card Player Player of the Year points as the champion of this event. It was his first POY-qualified score of the year, and it moved him into a multi-way tie for 255th place in the standings. Ahmadi came into the final day of this event in fifth chip position with 10 players remaining. The tournament was scheduled to run from Apr. 4 – 7, but play continued for an extra day due to the overwhelming turnout. Ahmadi scored his first knockout of the final day by calling Mohammed Tarkmani’s all-in with KClub SuitQClub Suit. He had Tarkmani’s QHeart Suit10Heart Suit in rough shape. The board came down QDiamond Suit3Club Suit2Diamond Suit8Spade Suit5Diamond Suit and Tarkmani was sent home in seventh place, earning $42,891 for his deep run. From there Ahmadi survived to three-handed play as the short stack. Jeff Kessler had over 41 million after eliminating Allan Bieler in fourth place ($91,328), while Robert Pollmeier had 12.6 million and Ahmadi just 4.8 million. That dynamic changed in a hurry, as Ahmadi scored a double up through Kessler before Pollmeier did the same. Ahmadi then doubled up through Kessler for a second time to leave him as the short stack. Not long after that he got all-in with ADiamond Suit2Heart Suit and was called by the 6Spade Suit6Club Suit of Ahmadi. The pocket sixes held up and Kessler was knocked out in third place ($108,780). Ahmadi and Pollmeier struck a deal that saw them chop the remaining prize pool evenly. Ahmadi earned the trophy and the title, as he held a slight chip lead at the time the agreement was made. Both players earned $209,977 for their strong showings in this event. Winner photo credit: Seminole Hard Rock Poker Tournament Blog.